A relaxing atmosphere for your perfect relaxation. An open air bath facing the rich forests of Tomamu. In the daytime, you can see wide green field. In the night time, beautiful star filled sky is what would delighten your eyes at this refreshng bath. The original spa of Risonare Tomamu. The relaxation of the highest quality using natural power will relieve your mental and physical fatigue. Enjoy every bit of the original treatment combining the comfort of oil and stretching exercises. Relaxation that you feel in the quiet time at Tomamu. Comfortable stimuli from healing aromas and Treatments will put you in a mentally and physically relaxed state. Enjoy a trip to a paradise of sensitivity that heals the mind, where you will be released from the sense of time and body. 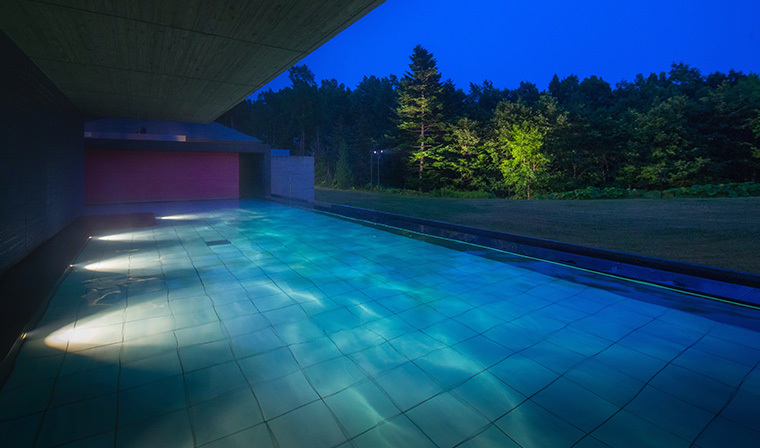 Enjoy the healing offered only by a quiet time at Tomamu.